This is interesting, Davis J teams up with McKenna Frazer, and they release his old single “I’ll Be Your Chauffeur” – which she found in her dad’s record collection. Ouch. San Francisco native, 18-year old McKenna Frazer is charming, talented, driven, adventurous, and loves to give back. She is also an avid music lover. And it doesn’t hurt that David J, renowned artist and founding member of the rock band Bauhaus, is her biggest advocate. Their recent collaboration, a rendition of his hit “I’ll Be Your Chauffeur,” was originally recorded as a gift for McKenna’s father, who is a good friend of David J’s. McKenna grew up listening to David’s music and when she decided to record a song for her dad, this one seemed perfect. She was going through her dad’s music collection and came across “I’ll Be Your Chauffeur,” a song she knew by heart. She describes the process as simple and organic, saying that “the song is so beautiful- it just clicked. 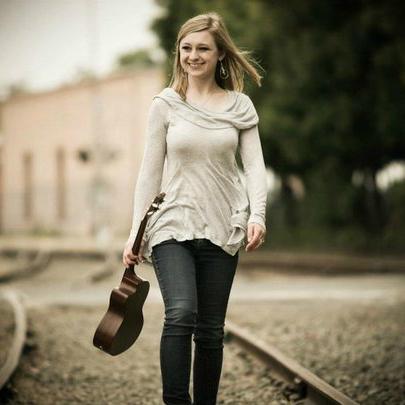 I wanted to record a song for my dad before I left for my gap-year in India, and I knew it was the perfect choice.” She began teaching herself the chords, popped open her laptop, and began laying down individual tracks for the ukulele and vocals. After adding harmonies and a little “do-do-do” line (which she borrowed from the guitar riff on the Pretender’s song, “Back on the Chain Gang”) it was complete! read the rest at… Bauhaus’ David J Teams With Teen Singer McKenna Frazer For Her Debut ::McKenna Frazer News ::antiMusic.com.